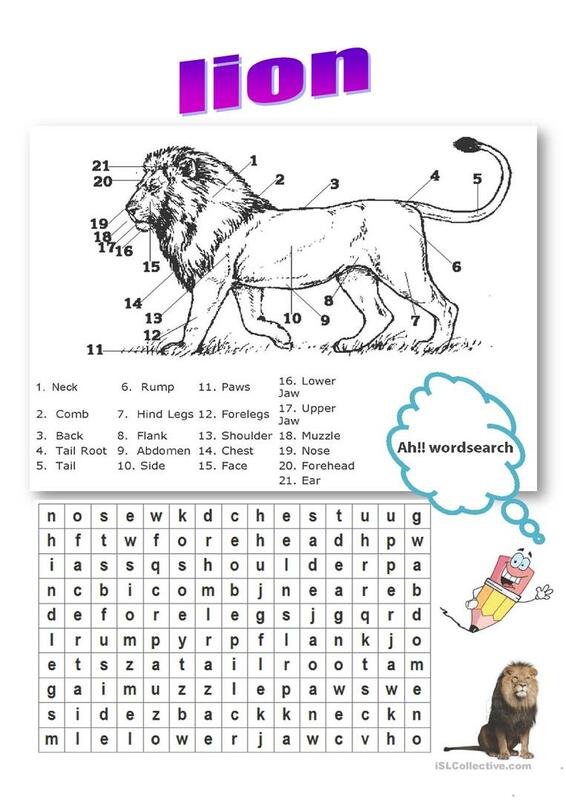 wordsearch game about the lion body parts. This downloadable worksheet is recommended for elementary school students at Elementary (A1) level. It was designed for honing your pupils' Spelling and Writing skills. It is about the topic and words of Animals.